Sometimes I cannot see because of the rain placing a veil of drops in my vision's path and all I see are tears and sorrow. No matter how hard I try to see past the rain, the salty tears flow harder and blind my sight. All I can do is wait.. wait for the sun to shine again and for the rain to go away taking the tears and sadness with it. When the sun comes, my life is bright once again and my vision is clear. Then my despairing soul is wonderfully refreshed and love grows all around me. 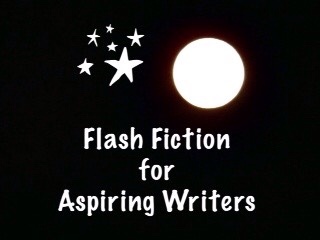 This is my 100 word submission for the Flash Fiction for Aspiring Writers Challenge, week of 09-08-2015. We are given a photo prompt and approximately 100-175 words with which we build our stories with. Everyone is invited to participate in this challenge. For more information click here. Very moving. A wonderful prompt too! If we can wait for the sunshine while walking in the rain we can endure the darkness. That is true! Thank you!! 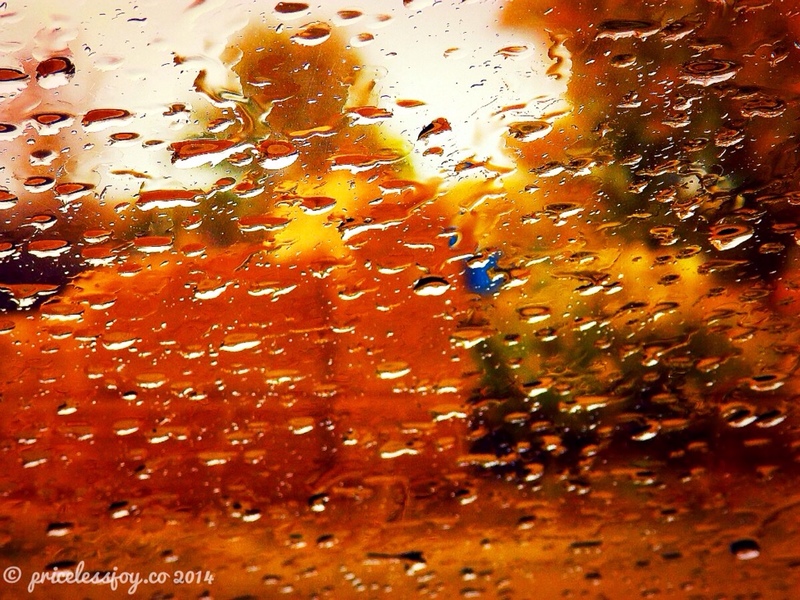 When you live in a sunburnt country with drought always around the corner, rains are always welcome and a time to rejoice, not to be sad or downhearted. I wouldn’t view life any other way. I actually love the rain. I live in a semi-desert. Such a moving post! Have definitely had these times! Prayers for a sunshiny day today for you! Hugs! Yes, and rain is great weather to take a nap! My only problem is my little dog. She is TERRIFIED of the thunder and lightening and rain drops hitting our roof. This is a wonderful read, as life is all about just waiting for the next day to arrive and hope it will be good. Yes it is, but it is also humanizing Mother Earth. Thank you so much Angie for reading and commenting! Wonderful post. I think you describe something many people have felt. is that there’s always tomorrow when the sun might shine brightly and dry up the rain. Perfect words for the photo prompt. I’ve finally gotten around to take a go at your prompts. Time … where does it go? I just sent you a comment regarding your link up. I was so happy when I saw you had participated in the challenge! Lovely writing, Joy… I love watching the rain but it doesn’t make me sad, unless you live in Scotland and it rains for days at a time! I actually love the rain. If I lived in Scotland I think I would be sad too if it rained all the time. The only thing I dislike about the rain is that it scares Bria so much (rain, thunder and lightening). You were smart to do that! How did you do that by the way? Wow, Cat that is very smart! I would never have thought of that. Poor Jack about car horns because if you live in a city then there are probably plenty of them! I may try seeing if I can get Bria to think of thunder and rain as happy but her being 13 years old, I’m not sure it will work. Yes, it must! I know Bria trembles terribly when there is rain, thunder and fireworks. Thank you Cat!! I sure wish they would ban fireworks here! They are too dangerous (fires). I wonder if there is anything you can do to get him use to wind?? You are probably right about that – he picks up your annoyance. Fortunately there aren’t many car horns where I live but I do live close to a fire station so I hear the fire engines when they leave their garages. Happily, those don’t bother Bria other than sometimes she will howl when she hears them. LOL! I’m hoping it isn’t hurting her ears. Other than that, it is funny! I love this! It’s really powerful. Liked the description, it is a powerful story with a great uplifting theme. Priceless, this felt good, knowing the rain and tears would stop. Sometimes we just need to not fight them because we know they need shed, and then the sun will be there again. This was one of my favorites. Great story, the weather often affects how we feel and our moods. Yes, Jessie, you are right. Thank you so much!! I love the thought of sunshine bringing joy back.. we all need that sunshine in our life. Yes, it is, thank you so much Louise! Not a piece of fiction at all but I like it. After the rain comes the sun. After the tears come the smiles. We always need the negative to better appreciate the positive. Thank you Susan! I like the rain as long as it doesn’t rain day after day. Lightening and thunder though, I can do without. I don’t go outside if it is thundering and lightening. The dark days of winter are fast approaching, I need sunshine, we all need sunshine. Vitamin D in tablet form just ‘aint the same! Very emotional! And so true, we all have those periods. Thank you for reading Samantha! Some storms are longer than others – and nights. I like rain, too. However, I don’t like stormy emotional periods in my life. I’m quite tired of those. This seems a different writing style for you, PJ. I enjoyed it. I love the “hope” theme you depicted In this story PJ. She “knows” the sun will rise again and she’s waiting for it, beautiful!